On Friday January 16, a woman who works as an addiction counselor at a Gallipolis, OH based facility was arrested for allegedly trafficking morphine, according to a recent news article at the Pomeroy Daily Sentinel. 52-year-old Roberta Payne of Cheshire has been charged with felony aggravated trafficking in drugs; the charges involve morphine, which police claimed had a value of more than $36,000. The investigation into Payne’s activities began after authorities received a tip that the addiction counselor offered to sell morphine to a client who was being counseled for drug addiction. Authorities then set up an operation to catch Payne in the act; she was caught when she allegedly sold 30 mg. of liquid morphine and more than 2,000 pills of the same substance to an undercover police officer. Colleen Williams, Meigs County Prosecutor, called the arrest “shocking,” saying that Payne was trying to profit by preying on those she should be helping. Payne was arrested by the Gallia-Meigs Major Crimes Task Force. Morphine is a schedule II drug, which means it has a high potential for abuse or addiction. 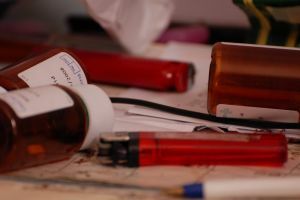 In the state of Michigan, those convicted of possession with intent to distribute/deliver charges involved schedule I or II substances will face severe punishment which may include tens of thousands of dollars in fines, and prison time of between 20 years and life, depending on the type and amount of drug involved. Drug trafficking is a very serious criminal offense, and a problem across the nation. As lawmakers continue their efforts to crack down on offenders, penalties become more severe. A conviction for trafficking morphine, heroin, cocaine, or any controlled substance will cost the offender not only his/her freedom, but reputation and career as well. Anyone who has been arrested or is under investigation for a drug offense including possession or possession with intent must work with a highly experienced and aggressive Michigan drug crime attorney. There are legal options, and it may be possible to get charges dismissed or reduced. Ultimately, your lawyer will work to obtain the best possible outcome for your case.